International Politics: A Journal of Transnational Issues and Global Problems has, since 1997, published an extraordinary array of path-breaking analyses about the world's political metamorphosis. Featuring scholarship that transcends boundaries of states and disciplines, International Politics editors and contributors have joined to assemble, from the journal's last few volumes, a far-reaching portrait of new actors, identities, norms, and institutions that populate a stage once confined to states, power, and national interests. Further, interventions to build states, make or keep the peace, impose sanctions or save currencies are examined, as are the institutional enlargements at the forefront of policy in Europe. This book offers a wealth of policy-relevant scholarship about a world-in-making--not yet detached from Cold War or even Westphalian roots, but certainly in process towards a qualitatively different global system. 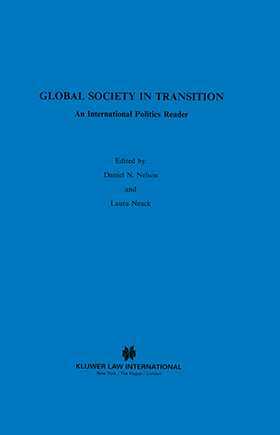 All published after rigorous peer review, chapters in Global Society in Transition will provide comparative politics, international relations, and world affairs courses at undergraduate and graduate level with instant access to the best of new research and innovative thinking in these fields.